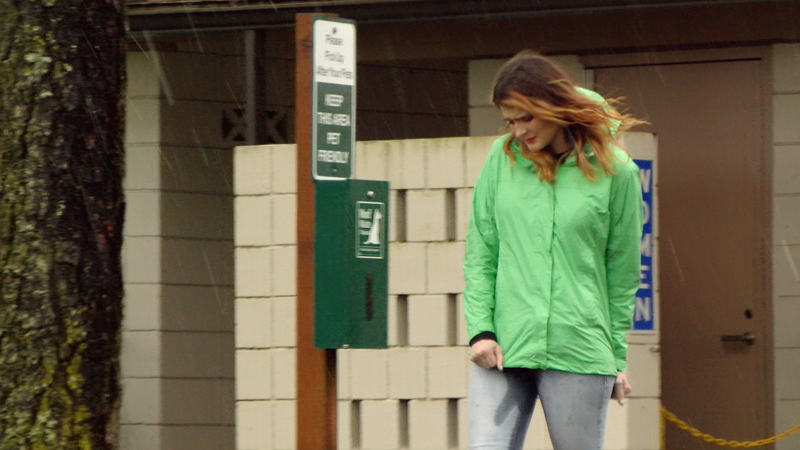 Desperate to pee, Sosha manages to hold on until she gets to the rest area, only to pee her pants when she discovers that the facilities are temporarily closed for cleaning. 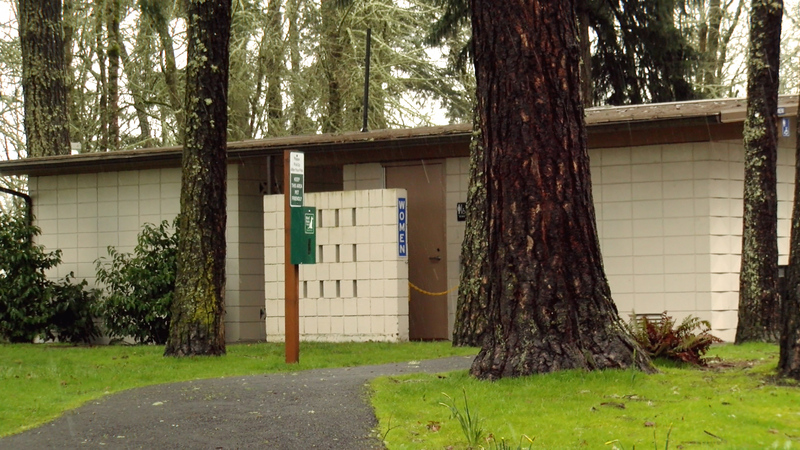 Nearly anyone who has been on a road trip has experienced the agony of being extremely desperate to pee, counting the miles until the next rest area while struggling to hold on. 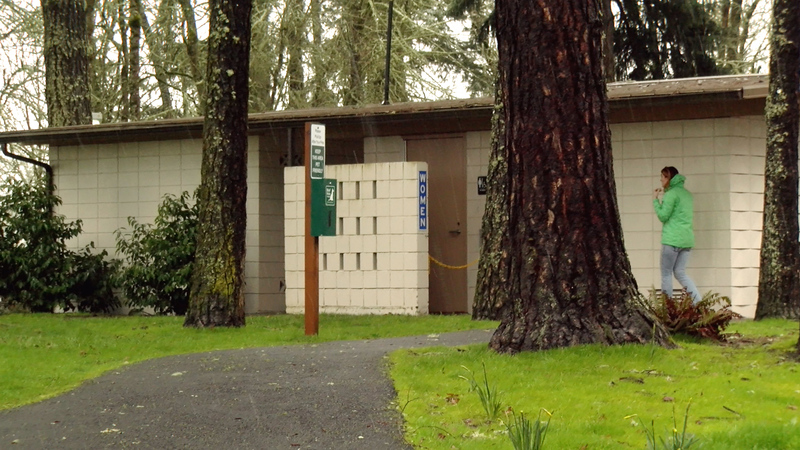 Imagine, however, making it to the rest area, ready to burst, only to discover that the facilities are closed. This is exactly what happens to Sosha in this humiliating public pants-wetting video. Upon arriving at the rest area, Sosha races to the women’s toilets, her bladder ready to burst. Once she gets there, however, she is met by a sign saying they are out of order and a chain strung across the entryway. At her limit, Sosha doesn’t have time for anything else. Despite grabbing her crotch to try and stop the flood, she ends up soaking her jeans and travelers come and go from the rest area. After peeing, she runs away to privacy, shamefully trying to pull her coat down to hide her accident.